조선 현종 10년(1669) 천문학 교수였던 송이영이 만든 천문(天文)시계로, 홍문관에 설치하여 시간 측정과 천문학 교습용으로 쓰였던 것이다. 시계의 지름은 40㎝이고, 그 중심에 위치한 지구의(地球儀)의 지름은 약 8.9㎝이다. 2개의 추 운동에 의하여 움직이는데, 하나는 시각을 위한 바퀴와 톱니바퀴들을 회전시키고, 다른 하나는 종을 치는 장치를 위한 것으로, 여러 개의 쇠구슬이 홈통 안을 굴러 내려감으로써 종을 치는 망치가 걸려 곧 종이 울리고, 회전바퀴 살에 붙은 주걱들에 의하여 쇠구슬이 들리면서 이 작동이 반복된다. 즉, 2개의 축을 동력으로 하여 여러 가지 톱니바퀴를 움직이는 시계 장치와 지구의가 설치된 혼천의 두 부분이 연결되어 있어 시간과 천체의 위치를 동시에 알 수 있게 되는 것이다. 조선시대에 만든 천문시계 중에서 유일하게 남아있는 유물로, 조선시대의 전통적인 모델이었던 물레바퀴의 원리를 동력으로 삼은 시계장치와 서양식 기계 시계인 자명종의 원리를 조화시켜 전혀 새로운 천문시계의 모델을 만들어냈다는 점에서, 세계 시계 제작기술의 역사상 독창적인 천문시계로 높이 평가되고 있다. This is an astronomical clock made by Song I-yeong, who was an astronomy professor in 1669 (the year of King Hyeonjong of Joseon). 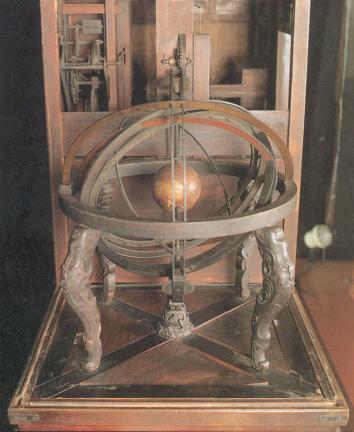 The diameter of the clock is 40cm, and the circumference of the terrestrial globe positioned in the center is about 8.9cm. This clock works by the movements of 2 weights. One rotates the wheel and the toothed wheels to show the time. The other one is to ring the bell. Several metal beads roll down to the inside of the eaves trough, hits the hammer that rings the bell, thereby making it possible for the bell to ring. Metal beads are put up by large, flat wooden spoons, attached to the spokes of the rotating wheels, making this function repeated. 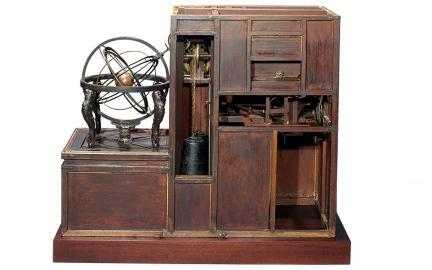 In other words, by connecting the two parts of the clock device, in which various saw-toothed wheels move according to the motive power of two weights, and the celestial globe, which has installed in it a terrestrial globe, it has made it possible to know the time and the location of the universe. 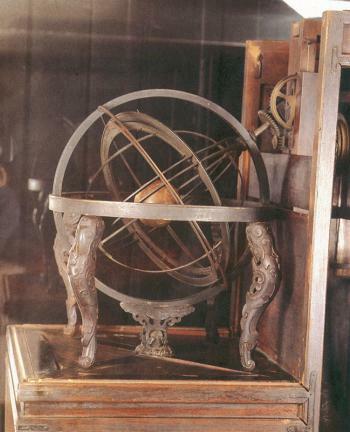 This celestial globe clock has been highly valued as an independent and creative astronomical clock in the history of the world's clock-making technology history, due to the point that a very new astronomical clock model was made by harmonizing the clock device which had as it motive power the going round of the wheel of a spinning wheel, which was a traditional model during the Joseon Dynasty beginning with King Sejong, and the principles of the alarm clock, a Western-type machine clock. It is known to have been installed at Hongmungwan and used for measuring time and for educational purposes in the discipline of astronomy. 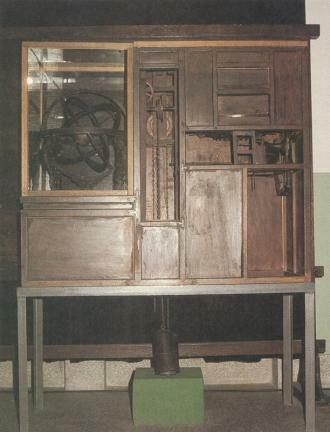 It is the only relic remaining among the astronomical clocks made during the Joseon Dynasty.